The Committee on the Status of Endangered Wildlife in Canada (COSEWIC) held their spring species assessment meeting last week in the Kananaskis Valley of Alberta. The committee considered the status of 35 wildlife species, including five birds. Marbled Murrelet: This small seabird breeds in old-growth forests along the coast of British Columbia. It was assessed as Threatened in 1990 because of habitat loss caused by logging activities, and the committee upheld that status this year, citing an estimate of 20% habitat loss over the past three generations. Other threats to Marbled Murrelets include fisheries bycatch, oil spills along existing and proposed shipping routes, and water temperature changes. 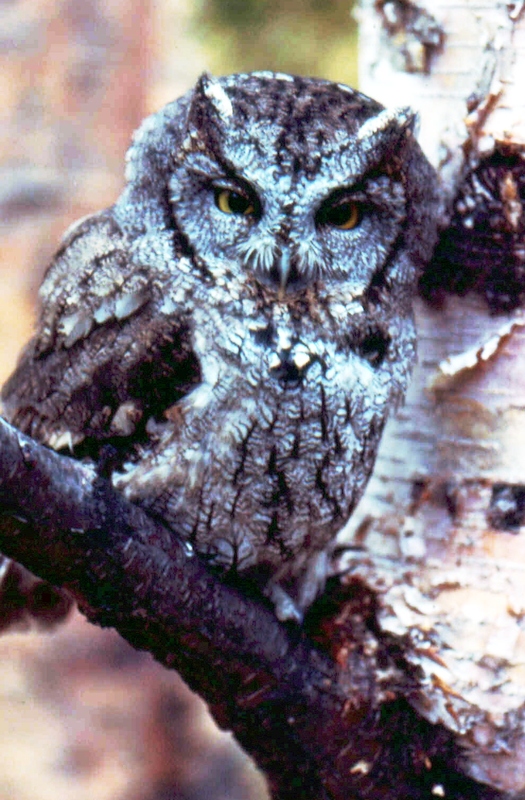 Western Screech-Owl: Two subspecies of this owl are found in Canada: Megascops kennicottii kennicottii along the British Columbia coast, and M. k. macfarlanei in the southern interior of British Columbia. In 2002, COSEWIC assessed the coastal subspecies as Special Concern—based on recent population declines—and the interior subspecies as Endangered, based on a very small population and habitat threats. This year, M. k. kennicottii was designated Threatened, since it has largely disappeared from the southern coastal region, apparently due to predation from the newly-arrived Barred Owl. The situation along the central and northern coast is less clear, but considering studies in Alaska it is likely that populations have declined throughout the coast. On an encouraging note, M. k. macfarlanei was downlisted to Threatened, since extensive field studies have shown the population is larger than previous thought and numbers seem to have stabilized over the last decade. There are now thought to be 350 to 500 Western Screech-Owls in the interior. Buff-breasted Sandpiper: Canada supports about three-quarters of the world population of this shorebird. It was thought to be nearing extinction in the 1920s because of unregulated market hunting. Although its numbers have grown somewhat since hunting was banned, they remain very low compared with numbers in the 1800s. There is renewed concern for the Buff-breasted Sandpiper, since the population is now thought to be declining again, but the species is difficult to monitor on both its Arctic breeding grounds and South American wintering grounds. It uses grassland habitats during migration and in the winter, and most birds in these habitats are showing significant population declines. COSEWIC assessed Buff-breasted Sandpiper as Special Concern. Hooded Warbler: This songbird was assessed as Threatened in 1994 and again in 2000. However, the population has increased significantly in Canada and throughout the core of its breeding range in the United States. Although there are still concerns about habitat loss and degradation on wintering sites, migration stopovers and breeding grounds, COSEWIC downlisted the Hooded Warbler to Not at Risk. This assessment was largely based on intensive research on this species by Bird Studies Canada biologists. You can read more about these and other COSEWIC assessments–from blue whales to butterflies–here.